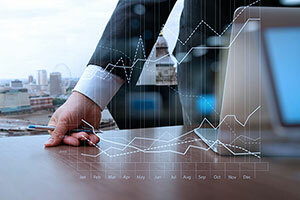 These cases have involved all types of securities, including stocks, bonds, mutual funds, annuities, exchange-traded funds, limited partnerships, real estate investment trusts, private placements, stock options, warrants, and complex investment strategies involving options trading, short selling, and securities lending. Our attorneys have also successfully represented securities industry employees who have been improperly terminated and who are sometimes defamed by their former employers. Which Dispute Resolution Mechanism Is Best? Most disputes between customers and brokerage firms, as well as disagreements between securities industry employees and their former employers, are resolved through arbitration because of agreements which require that form of dispute resolution. Arbitration is reported to take less time and to be more cost effective that litigation in court. That is sometimes but not always true depending upon the facts of a given case. In any event, it is very difficult for any party to an arbitration proceeding to successfully appeal an arbitration award. Consequently, the vast majority of arbitration awards are final and binding. In certain instances, it might be appropriate and/or necessary to file a lawsuit in court instead of proceeding through arbitration. Drew Clayton and his team have many years of experience handling complex business, securities and estate-related litigation in state and federal courts. The investment world is a complex place due to the enormous variety of securities and the complex risks they present. Before any case becomes the subject of a formal legal proceeding, an extended period of time is ordinarily required in order for this law firm to ensure that it is meritorious and that it makes economic sense to prosecute. Almost every prospective client seeks a lawyer as a result of losing money. However, the loss of money does not, in and of itself, result in a viable legal case. Before we will agree to file a formal legal proceeding, our firm takes great care in examining the investor’s background and investment experience and carefully reviewing and analyzing monthly statements and information about the securities at issue, as well as the background of the financial advisors. Once that preliminary investigation has been completed and we have reached an agreement as to a fee agreement for prosecution of a case, we prepare and file a formal legal proceeding. Elderly investor is sold a portfolio of variable annuities and/or equity indexed annuities that results in a lack of liquidity and may require the payment of significant surrender charges to reallocate the investment assets. The annuities also present the investor with potential adverse estate tax consequences. Financial advisor engages in “selling away,’ i.e., recommends an investment that is not known or approved by the brokerage firm. The investment turns out to be fraudulent and all of the money is lost. Drew Clayton is an “AV” rated lawyer by the peer-reviewed Martindale-Hubbell. He has handled complicated securities arbitration and litigation cases in arbitration and in state, federal, and bankruptcy courts. Over the past two decades, he has handled hundreds of investment related cases in arbitration and court, and he has managed to obtain several awards in excess of $1 million. Drew and his team serve both investor clients and securities industry employees. Drew is a nationally recognized authority on securities law. He has been invited to speak at national conferences on securities law, and other experienced attorneys and law firms often ask him for advice or to co-counsel complex securities matters and his cases have been featured in both local and national news stories. Our team represents investors on hourly, contingency fee, and part hourly/part contingency fee bases, depending on the case. Whether you are an attorney who needs help with an investment-related case or you are an investor who needs an experienced, authoritative lawyer on your side, connect with the securities arbitration and litigation team at Icard Merrill today.